We've just pulled together a flyer for Roundtable briefings here in the Longhorn Council. It may also be useful for your efforts. MS Word and Apple Pages files provided. Edit to fit your operation and get the word out. 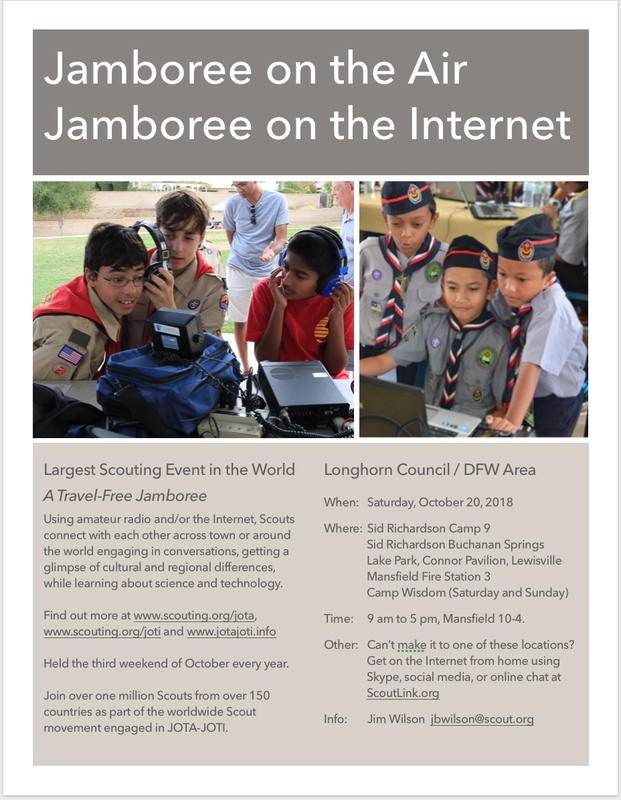 Longhorn JOTA-JOTI Flyer - PDF as a reference in case the file doesn't quite work the same on your computer.